This story is the second part in a four-part series about our Halfsy Hero Korey Donahoo. Our series will follow Korey and three other heroes as they train for the 2017 Good Life Halfsy. Korey Donahoo couldn’t let the 10-year anniversary of the founding of The American Outlaws slip by unrecognized. He asked his co-founder Justin to meet him at a bar for a drink. The plan was to share stories of successful campaigns with a few friends. A suggestion to arrive early enough to watch the game revealed a bigger secret. Over 150 people were there to surprise the guys, and thank them for always being there to bring the noise, the energy, and the joy. But that’s just how The American Outlaws show up. They take something good and they make it unbelievable. Korey was grateful for this high note, as his training had taken a bit of a hit after an illness. After a week off, he trepidatiously returned with a goal of doing his longest run yet. And Korey is finding his. 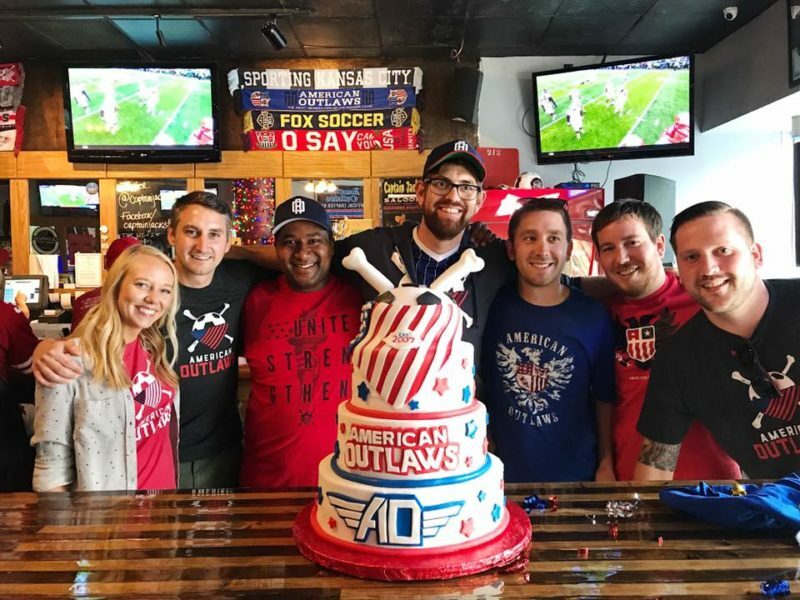 The American Outlaws know the formula for creating energy, and they’re showing up to give him the experience he has helped orchestrate for thousands of athletes for a decade. Check back for more Halfsy Hero stories, and to read the next installment of Korey’s story.